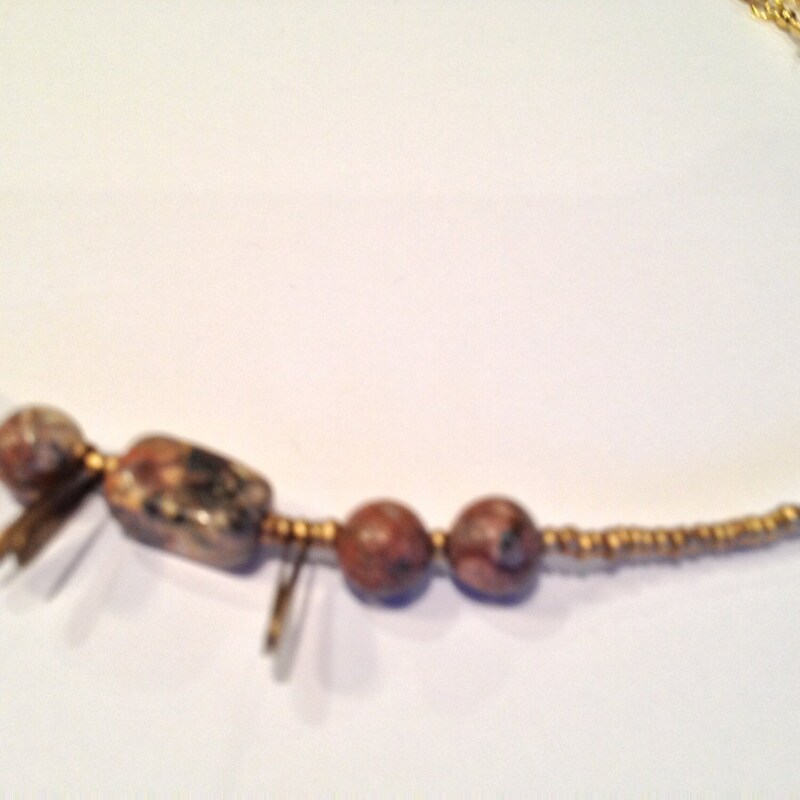 Elegant and natural-look gemstone beaded necklace with golden seed beads and antique golden leaf beads. 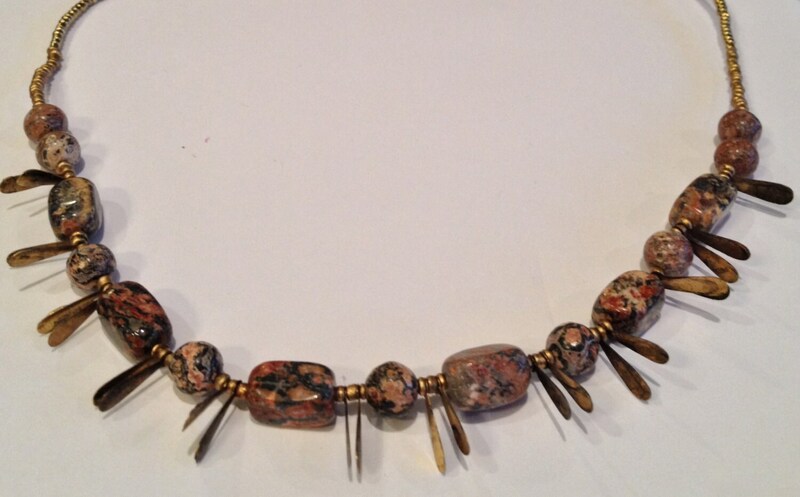 This necklace measures 19.5" to 21.5" long. An adjustable golden ring chain extends the neckline as needed to enhance your decollete. 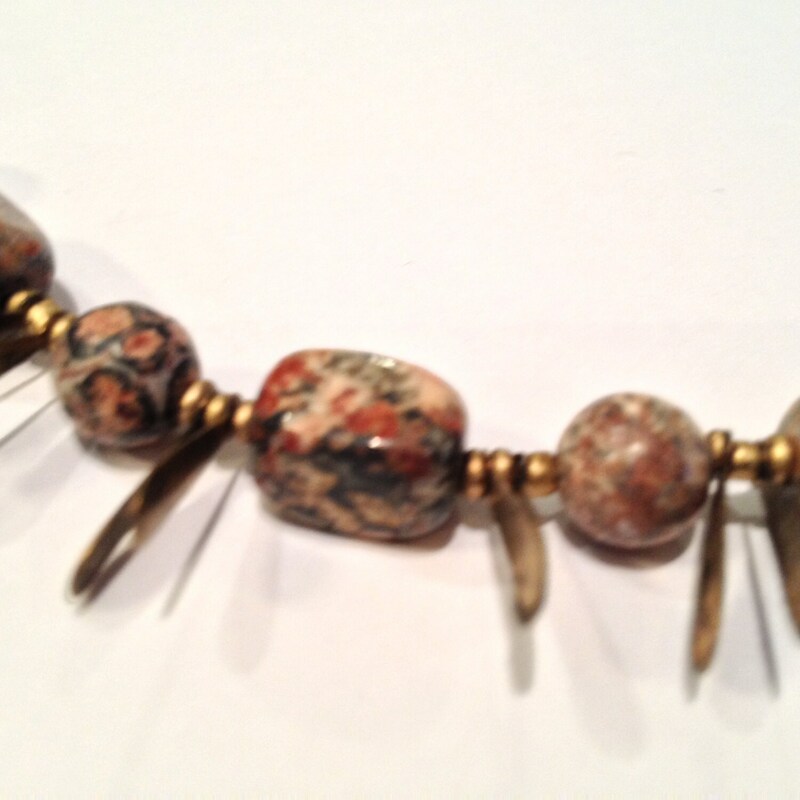 The clasp consists of a golden hook and eye.